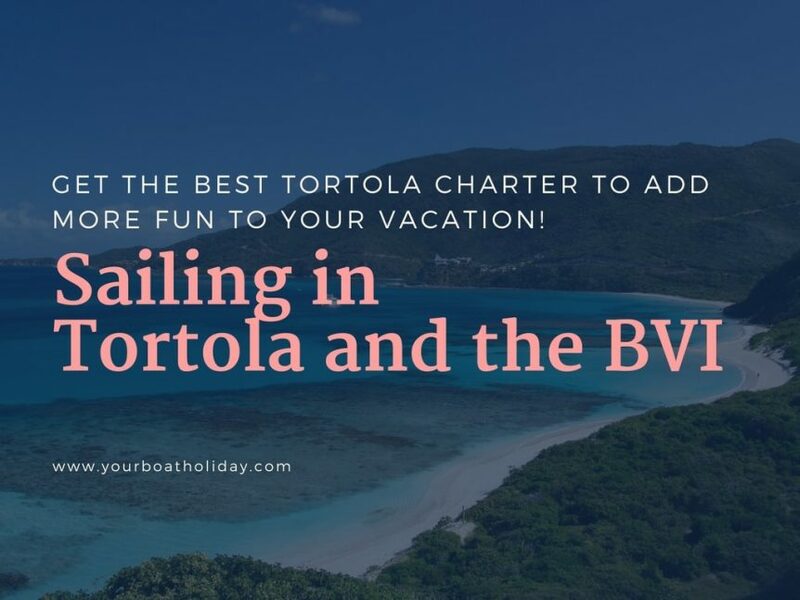 Get the best Tortola charter to add more fun to your Vacation! Plan your sailing holiday in Tortola and the BVI! News & Trends Get the best Tortola charter to add more fun to your Vacation! Get the best Tortola charter to add more fun to your Vacation! When visiting the British Virgin Islands, Tortola is certainly one of the best destination choices. Being the largest Island and also most famous for the fabulous offerings it has stored for you! But, if you want to explore the heart and gem of this place, your first choice should be Tortola charter. With the beauty of sea unleashing it upon you and the refreshing air enchanting your senses, it is the best feeling that you can ever have! So, that there is no lag in the feeling, here are some suggestions regarding the best Charter Yacht for you to hire. Imagine waking up to the sound of gushing waves and a view of azure all around you. There are very few things in the world that will make you happier than witnessing the ravishing beauty of nature in the British Virgin Islands. When going to BVI, you certainly want to experience a luxurious feeling with a warm environment in Tortola charter. These Motor Yachts have everything stored for you to enjoy. There are exclusive cabins for couples as well. Not only that, you will get a complete crew service, exclusive fresh seafood and great wines to drink. Which is the best time to visit Tortola? The perfect time for you to plan a vacation in Tortola is from November to February. During this time, the beach is at its best with natural vegetation and wildflowers. Along with it, all the water sports and activities also happen during this time. Moreover, you can see many aquatic animals and territorial wildlife of Tortola. When you are traveling in Tortola, another vital means to enhance the glory of your vacation is by boat traveling. It will take you to different places where you can explore the largest island of BVI more closely. This place offers a great view with amazing cuisine. Don’t forget to try their native delicacy Mahi Mahi. Moreover, try some great cocktails while enjoying the beach breeze and treat your feet by walking on the soft sand beach! This virgin beach in Tortola will take you one step closer to the wild beauty of the Caribbean. If you love to row, Tortola boat will take you to this virgin island. Though there is no bar or shack, if you love to enjoy in serenity then yes, Smuggler’s Cove is the best place. Once you get down from your luxury Tortola charter yacht in the cruise port at Road Town, it is time for you to take your boat and visit the Beef Island. The first thing you should do on reaching the beach is snorkelling in the crystal clear water. One of the best experiences you will ever have! Don’t forget to take a ride to the magic mangrove paddle. Once you reach there in the Tortola boat, its just a few minutes’ walk from Beef Island beach, and here in this market, you can shop for some exotic beer. As there is no bar on the Beef Island beach, pick up some on the market and enjoy sipping it on the beach while tanning gorgeously. Some more Tortola activities to do! Let’s start with the amazing nightlife there in the Caribbean! Your first stop to party at Tortola should be Bomba’s Surfside Shack. It is an extremely well décor place with gratifies and ethnic Caribbean designs. Moreover, you get some great music and peppy crowd in the party. Some other places are – Pusser’s Road Town Pub; Quito’s Bar and Restaurant; Myett’s. When talking about Tortola activities, no one should miss shopping. To start with – Stroll in Allamanda Gallery and grab some beautiful art. Next stop will be Arawak, which has a great collection of beach and sportswear; Lattitude 180 for accessories and finally Best of British to get some amazing candies as well as chocolates. While you are here, Tortola charter activities include some adventurous sports too like – Hiking, swimming, water skiing, etc. So, don’t miss on the fun and plan for the best trip ever!